So, what do you do all winter? There’s a story my father used to tell, a true story that he never got tired of repeating. This question we hear most frequently in fall when the customers at our farmers’ markets are saying good-bye for the season, or on the last day of CSA pick-up. But we get the question throughout the winter as well. It’s a fair & reasonable question. But there isn’t an easy answer, at least not a short & quick answer. My stock answer that I give is as follows … I prune the fruit trees, I maintain & fix equipment, I catch up on my office chores/book work, and I relax & take it easier. 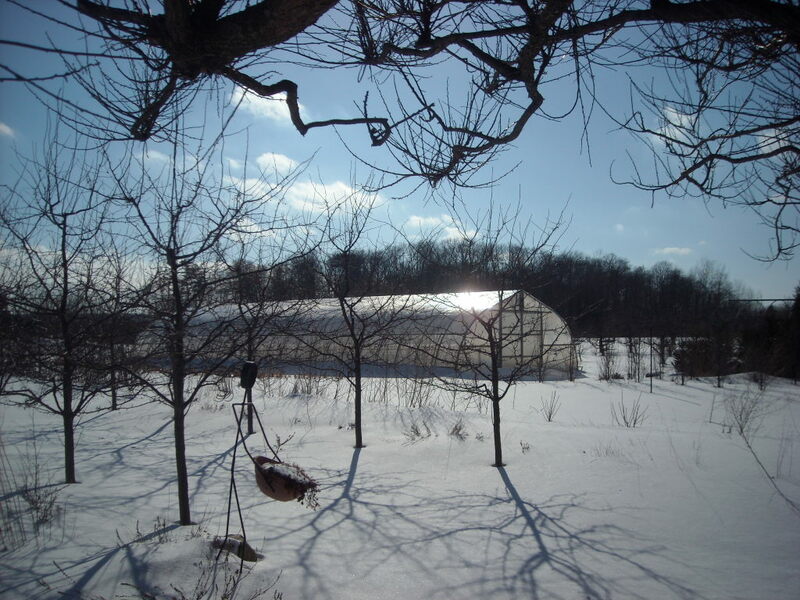 This winter with all the snow we’ve had and the colder temperatures, not much pruning has been done – actually I have not even picked up a pair of pruners or my saw. But once the weather breaks and there’s less snow to trudge through, we’ll be out there! Maintaining & fixing equipment is not a favourite task of mine. I do it – grudgingly – but I don’t enjoy it. Getting dirt on my hands is a pleasure, but grease & oil is something else. Office work – it never ends! Often it is government paperwork – filling out forms, and keeping up with regulations etc. Far more stimulating is dreaming about and planning for the upcoming season – the what, when, where, why & how of growing, harvesting & marketing. Much of this exercise is completed now & we’re just filling in the details. I always say that winter is a good time to be a farmer – even if I don’t spend it in Florida!